Down our way, oysters are a big deal—and they definitely have terroir! 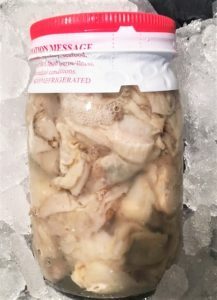 Ask any ardent oyster lover around here, and they claim they can tell you if the oyster is from the ‘seaside’, the ‘bayside’ and/or which creek it came from. The saltier ones come from the east, the ocean side. The others are pulled from the creeks and bottom lands of the Chesapeake Bay. And January is Oyster Month down here. So enjoy the bounty, celebrate the abundance—then raise a glass to the boys who haul in the harvest in the cold month of January. 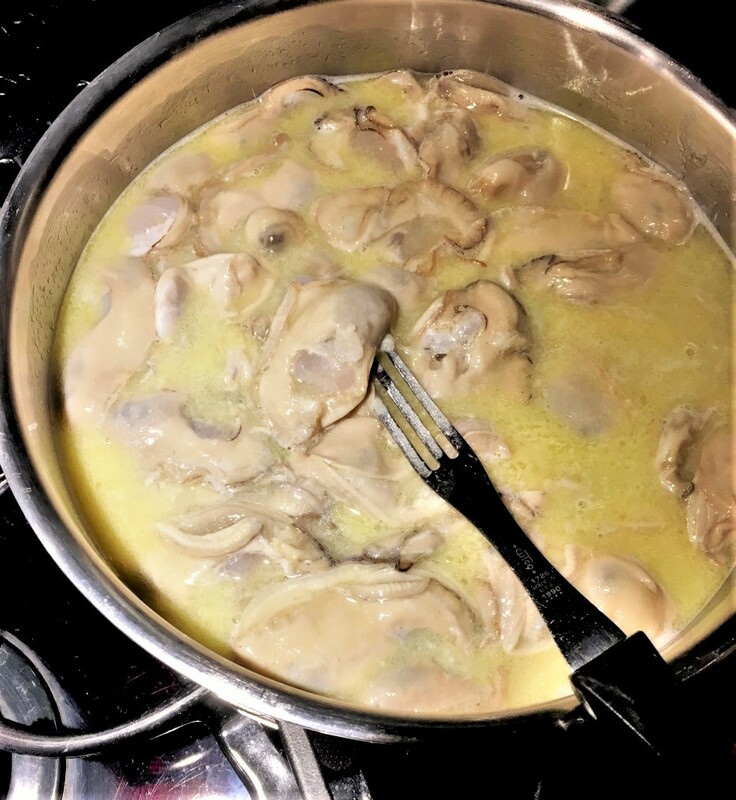 Dump pint of oysters, with the liquor, into a sauté pan–add lemon and butter. Using lowest heat, cook slowly until butter is completely melted and oysters are just done. Don’t over-cook. Pour into soup bowls; good with bread as a first course. Although for many of us, this would be the first, second and third course!